A Christian-based charity supporting Moldova. Cited by the United Nations as the poorest country in Europe and a former Soviet Republic. Moldova is a landlocked state located between Romania to the west and the Ukraine to the north, east and south. 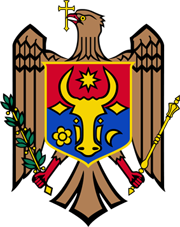 The Republic of Moldova is a landlocked country in Eastern Europe with a population of 3,5 million citizens. It borders Romania to the west and Ukraine to the north, east and south. Moldova shares a common cultural heritage with Romania and Romanian (or “Moldovan”) also is the official language (1). Russian is spoken by 16% of the population. With a GDP of 9,6 billion US$ and an average annual salary of 38 000 lei (2200 US$), Moldova is the poorest country in Europe (2). According to the Moldovan statistics office, 2000 to 3000 people leave the country each year (3). Thus, remittances account for 15% of the GDP, one of the highest shares worldwide (4). One recent cause for this large-scale out-migration is the so-called “Grand Theft” in November 2014 (5), when a total of 1 billion US$ disappeared from three of the country’s leading banks through transactions to foreign bank accounts. Moldova’s central bank bailed out the three banks with 870 million US$ in emergency loans, but thousands of people lost savings nevertheless (6). The central bank then hired a financial consultancy to investigate the fraud. Another reason for Moldova’s mass-emigration is the Transnistria conflict, considering that the issue hampers the country’s long-term socio-economic development (7). Transnistria is a separatist region in the east of the country, located between the Dniester River and the Ukranian border. It declared its independence from Moldova in September 1990, as the predominantly Russian population felt oppressed by the Moldovan majority (8). The civil war that followed was ended by Russia with a ceasefire agreement in July 1992 and Russian troops remain in Transnistria to this day (9). The breakaway region subsequently established its own administration and the Moldovan government does not exercise control over the territory. The only entity recognizing it internationally is the Commonwealth of Unrecognized States (10). Transnistria’s goal is to join Russia and the Russian Federation does support the region economically (11). This includes low-priced energy supply for example (12). Same as Transnistria, Moldova depends on Russian gas exports as well. In turn, the country exports most of its wine - and migrant workers – to Russia (13). Where Does Europe’s East Belong? At the same time, Moldova is part of the EU’s Eastern Partnership policy and signed an association agreement in June 2014. The treaty entered into force in July 2016, aiming at political association (e.g. visa-free travel) and economic integration. The EU’s rationale behind its neighbourhood policy is that more democracy and stability in Eastern Europe may eventually lead to more security and prosperity within the EU (14). In November 2018, however, the European Commission cut its financial assistance to Moldova by 20 million € for both 2017 and 2018. It also suspended a 100 million-euro macro-financial assistance programme until further notice (15). Johannes Hahn, the EU Neighbourhood Commissioner, said the decision could be reversed, providing that the Moldovan government further addresses issues like the 2014 “Grand Theft” or “the ‘very dubious’ voiding of mayoral elections in the capital which had been won by an anticorruption candidate” (16). On June 3, 2018, the pro-European candidate Andrei Nastase won the second round of the local election in Moldova’s capital Chisinau. Demanding greater transparency since the banking fraud (17), Nastase rallied more than 52,5% of the votes, defeating his Moscow-friendly opponent Ion Ceban. The Chisinau City Court then invalidated the election results on the grounds of “unlawful ‘agitation’ on election day (18)” by both candidates (19). The decision was upheld by a ruling of Moldova’s Supreme Court in the same month. The case illustrates the society’s divide between two opposing geopolitical agendas (20). On one side, in December 2016, the electorate voted for pro-Russian President Igor Dodon of Moldova’s Socialist Party. On the other, the current government is led by Prime Minister Pavel Filip who belongs to the Democratic Party, pushing for closer ties with the EU and the United States. Parliamentary elections are due in February 2019 and will further determine which side gains the upper hand. In any case, the geopolitical divide prevents Moldova from effectively approaching its challenges on the way to stability and prosperity (21). (1) AUSTRALIAN GOVERNMENT: DEPARTMENT OF FOREIGN AFFAIRS AND TRADE, “Moldova country brief”, May 2018, https://dfat.gov.au/geo/moldova/Pages/ moldova-country-brief.aspx, (accessed 15 January 2019). (2) EICK, Felix. “Moldauer in Deutschland: ‘Wir überwintern hier nur wie Vögel’“, Die Welt, 28 March 2018, https://www.welt.de/politik/ausland/plus174969021/Moldauer-in-Deutschland-Jeder-Tag-im-Asylverfahren-ist-ein-guter-Tag.html, (accessed 15 January 2019). (3) HOCK, Alexej. “Asylbewerber aus Moldau: Wenigstens ein paar Monate Deutschland“, Die Welt, 3 January 2019, https://www.welt.de/politik/ausland/plus186461170/Asylbewerber-aus-Moldau-Wenigstens-ein-paar-Monate-Deutschland.html, (accessed 15 January 2019). (4) THE WORLD BANK, “The World Bank in Moldova: Overview”, 11 October 2018, http://www.worldbank.org/en/country/moldova/overview#4, (accessed 15 January 2019). (5) HOCK, Alexej. Op. cit. (6) KOTTASOVA, Ivana. “How to steal $1 billion in three days“, CNN, 7 May 2015, https://money.cnn.com/2015/05/07/news/economy/moldova-stolen-billion/index.html, (accessed 15 January 2019). (7) DEUTSCH-MOLDAUISCHES FORUM, “Republik Moldau”, date unknown, http://www.deutsch-moldauisches-forum.de/republik-moldau, (accessed 15 January 2019). (8) DOLL, Nikolaus and Hans EVERT. “Transnistrien: Eine Firma regiert das letzte Stück Sowjetunion“, Die Welt, 20 October 2017, https://www.welt.de/politik/ausland/plus 169795189/Eine-Firma-regiert-das-letzte-Stueck-Sowjetunion.html, (accessed 15 January 2019). (9) AUSTRALIAN GOVERNMENT: DEPARTMENT OF FOREIGN AFFAIRS AND TRADE. Op. cit. (10) DOLL, Nikolaus and Hans EVERT. Op. cit. (11) BBC, “Trans-Dniester profile”, 17 September 2018, https://www.bbc.co.uk/news/world-europe-18284837, (accessed 15 January 2019). (12) DOLL, Nikolaus and Hans EVERT. Op. cit. (13) DEUTSCH-MOLDAUISCHES FORUM, op. cit. (14) GNAUCK, Gerhard and Christoph B. SCHILTZ. “EU und Russland: Wem gehört Europas Osten?“, Die Welt, 24 November 2017, https://www.welt.de/politik/ausland/plus 170947860/Wem-gehoert-Europas-Osten.html, (accessed 15 January 2019). (15) JOZWIAK, Rikard. “EU Cuts Moldova Funding Amid Rule-Of-Law Concerns“, Radio Free Europe/ Radio Liberty, 15 November 2018, https://www.rferl.org/a/eu-cuts-moldova-funding-amid-rule-of-law-concerns/29603052.html, (accessed 15 January 2019). (16) Johannes HAHN cited in Rikard JOZWIAK. Op. cit. (17) TANAS, Alexander. “Moldovans protest after court voids mayoral election result“, Reuters, 21 June 2018, https://uk.reuters.com/article/uk-moldova-protests-mayor/moldovans-protest-after-court-voids-mayoral-election-result-idUKKBN1JH1VJ, (accessed 15 January 2019). (18) CHISINAU CITY COURT cited in LUCA, Ana Maria. “Moldova Court Backs Mayoral Election Ruling“, Balkan Insight, 25 June 2018, http://www.balkaninsight.com/en/ article/moldova-supreme- court-backs-rejects-ruling-to-invalidate-mayoral-elections-06-25-2018, (accessed 15 January 2019). (19) RADIO FREE EUROPE/ RADIO LIBERTY “Moldovan Supreme Court Upholds Decision To Void Chisinau Mayoral Election Amid Protests”, 25 June 2018, https://www.rferl.org/a/moldovan-supreme-court-upholds-decision-chisinau-mayoral-election-voided-protests/29318960.html, (accessed 15 January 2019). (20) DEUTSCH-MOLDAUISCHES FORUM, op. cit. (21) RETTMAN, Andrew. “Opinion: Moldova’s election to test EU credentials“, EU Observer, 29 November 2018, https://euobserver.com/opinion/143527, (accessed 15 January 2019). Login to your PayPal or donate via debit/credit card. Increase your giving by ticking the Gift Aid box after you have clicked the Donate button. By signing up to our Newsletter we promise to only send you news about Moldova and CEEM Ltd. Please check your junk folder if not in your InBox for email confirmation. Please tick the above box. The HOPE Centre in Burlacu urgently requires any unwanted Lego. 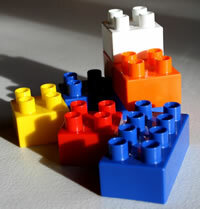 If you have any unwanted Lego sets, complete or incomplete please contact us asap. 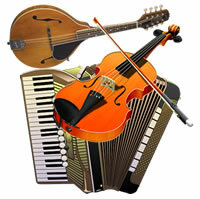 If you have unwanted musical instruments, don't throw them away. The people of Moldova love playing music.